You won’t always know when a fishing opportunity arises. To avoid missing out on a great fishing experience, it is best to always be prepared. 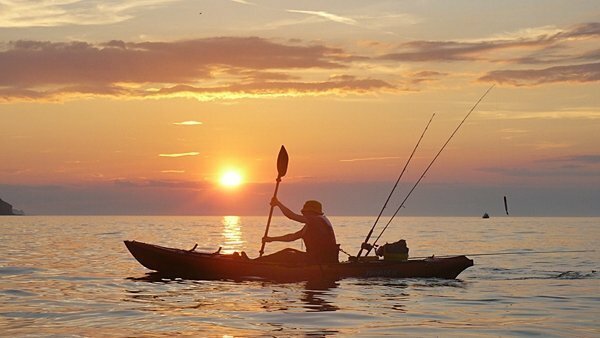 The right equipment is needed to make your fishing trip a good one. Bringing a bulky rod anywhere you go is definitely an inconvenience and should not be an option. Aside from being a burden to carry, junky rods take up so much space. It really is a hassle especially if one does not have a private vehicle to carry things around. Collapsible or telescopic fishing rods serve as the best solution to this problem. These rods are portable and easy to carry for anglers, hikers, backpackers, and just about everyone on the go who wants to enjoy a good fishing session. 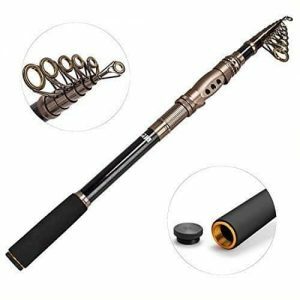 Collapsible telescopic rods are perfect for fishing enthusiasts who are travelling or are taking public transportation. Aside from being compact and easy to carry, these rods also offer the same quality of catch as other rods. These rods have become popular recently. In fact, the demand for collapsible telescopic rods has become greater in the past years as people have seen how convenient they are compared to ordinary rods. Price-wise also, collapsible telescopic rods are as affordable as conventional rods which means they give you bang for your buck. What are collapsible telescopic fishing rods? Collapsible telescopic fishing rods are designed to bring ease to anglers. They are of the same material as conventional rods. As its name suggests, a collapsible telescopic fishing rod is a collection of blanks, much like a telescope, with the first blank having the largest diameter. The diameter gets smaller in the next blanks. Collapsible telescopic fishing rods are very compact since blanks collapse into preceding blanks to make the length of the rod shorter. This makes the item easy to carry around. When used, blanks are opened and extended to reveal a long rod good for fishing. How do you choose the best collapsible telescopic fishing rod? Just like buying other rods, a lot of things are taken into consideration when choosing the best and most fit collapsible telescopic fishing rod for you. One must not only settle on what is cheap or what is popular in buying rods. There are certain characteristics which should be considered as these can affect your overall angling performance and fishing experience. Of course, the main things that should be considered are the basics–where, what, and how. Where pertains to the venue of your fishing trip or where you are fishing. This can be a freshwater lake, stream, river, or the sea. What refers to the type of fish that you are after. The size and type of fish have a bearing on the rod that you need to buy. How is how you are going to catch the fish or the lure that you plan to use. Once your answers to the above mentioned items are determined, you can now proceed in choosing the best collapsible telescopic rod for you. In doing so, you must consider the following aspects to be able to spend your money on the right fishing equipment. As previously mentioned, collapsible telescopic fishing rods are similar to conventional rods in terms of the material used in making it. These rods may be made of graphite or carbon fiber, fiberglass, composites, stainless steel, or aluminum alloy. The material of the rod determines its durability. There are those who prefer collapsible telescopic fishing rods made of graphite, fiberglass, or a mixture of both since they weigh lighter than those made of metal. Others, though, prefer the latter since rods made of these metal materials do not rust. They are said to be more resilient especially when used in either saltwater or freshwater. Aesthetic-wise, the metal material also gives the rod a professional and sleek look. Both materials have its pros and cons but the decision on which rod to buy depends on the angler who will be using it and his/her preferences. Size and length are very important in choosing the rod that you want. 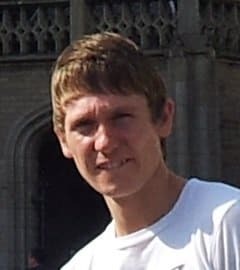 There are two kinds of length which you must consider–the compact length and the full length. The compact length is the length of the rod when all of the blanks are collapsed. Closed rods usually have a length of 1 ½ feet but may be longer depending on the rod. This determines the size of the rod that you will be carrying around and the amount of space you will be needing in your bag or vehicle to store it together with your other fishing gear. The more collapsible the rod is, the more it is convenient to bring anywhere. The full length refers to the length of the rod when opened or when all of the blanks are out. The full length of collapsible telescopic fishing rods usually range from 20 to 30 feet. This length determines important details such as the number of blanks or sections and the distance you will be able curve in fishing. The power of a rod is another factor that is equally important as the others. It is determined by the species and sizes of fish that the rod is able to catch, and the strength of the rod’s backbone. The backbone is found above the handle and reel. Rod power ranges from ultra-light, light, medium-light, medium, medium-heavy, heavy, up to ultra-heavy. Ultra-light rods are best for small bait fish. On the contrary, ultra-heavy rods are perfect for those who want to go deep sea fishing or who are looking at getting a big and heavy catch. There is no established system to measure rod power. One should bear in mind that the rod power of an item declared by its manufacturer is purely subjective. The rings that line along your pole, also called eyelets, are crucial in picking your rod. The number of eyelets determine how good the weight distribution is which translates to the strength of the rod. The more eyelets a collapsible telescopic fishing rod has, the better its power curve is. A rod with 5 eyelets is already good. 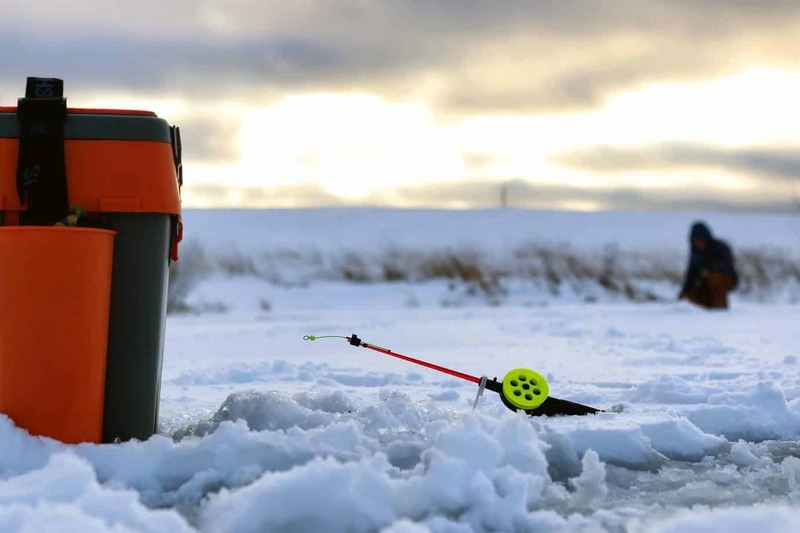 Since weight is distributed evenly, the rod is easier to handle during your fishing spree. This would mean that you can have further casting and improved fish-fighting abilities when you wrestle with a good catch. It is also best to choose rods with eyelets that are of high quality such as ceramic ones. This is the part of the rod which is most likely to be subjected to wear and tear so you should settle with a dependable and good quality one that is worth your money. Some may think that a heavier rod is stronger than a lightweight one. This is not always the case. The strength of a rod is not only defined by its weight but it is rather a sum of all of its characteristics. A good collapsible telescopic fishing rod should be lightweight and easy on the one using it. It should be well-balanced to get better results at casting and getting your catch. Bulky and heavy rods should be avoided since these would wear you out easily due to their weight. 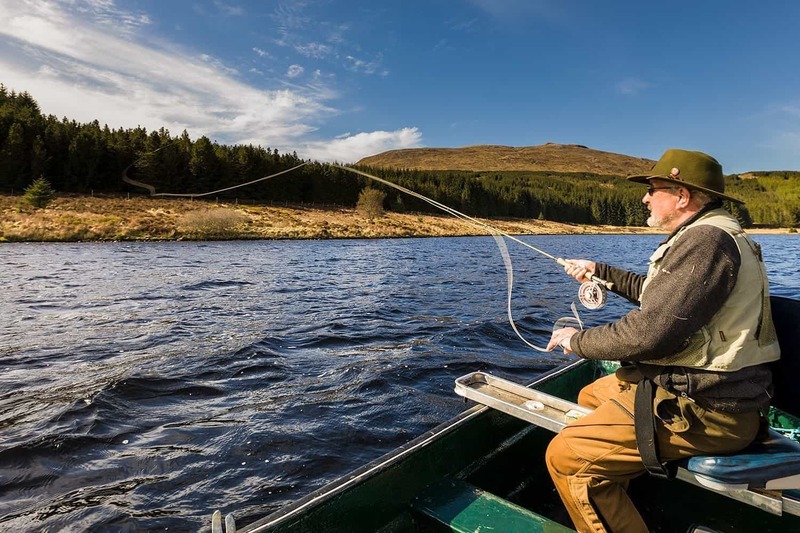 Using a lightweight rod would save you more energy especially when wrestling with a big fish, and give you more time to enjoy your fishing trip. Another deciding factor in getting the best collapsible telescopic rod for you is your budget. If you have the means, you can get yourself an expensive rod that is durable, effective, and efficient. Beginners, though, need not empty their pockets to get a good pick. Since collapsible telescopic fishing rods are affordable, there is a wide range of rods that you can choose from. These rods are already good enough for random fishing adventures. The key is to pick the one that answers your need and fits well with your preferences without going a little over the budget. Now that we have listed down the things that you should bear in mind when purchasing your rod, below are our picks for the best collapsible telescopic fishing rods. 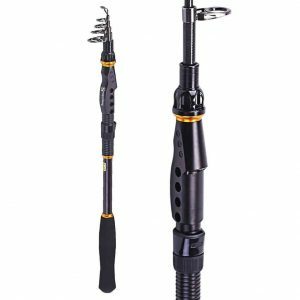 The first thing that comes into our mind when people talk about collapsible telescopic fishing rods is the PLUSINNO Telescopic Fishing Rod. With 4.5 stars and more than 400 customer reviews under its belt, the PLUSINNO Telescopic Fishing Rod is one of Amazon’s best sellers and definitely our top pick. It puts together quality, functionality, and efficiency for an overall very satisfactory fishing performance. A mix of high elasticity and high density carbon fiber and fiberglass, the PLUSINNO Telescopic Fishing Rod is a durable choice for anglers. The item went through a baking varnish process to make it waterproof without fading. The sleek design of the rod also incorporates functionality. It has a stainless steel frame, a carbon oxide wire line guide, aluminum oxide guide inserts, and stainless steel-hooded reel seats which are anti-seawater corrosion. All of these contribute to achieve easier catch. There are 4 sizes and lengths to choose from for this rod ranging from 40-43 cm for the compact length and 180-270 cm for the full length. Found below are the rod variations and their corresponding specifications. It has heavy rod power so you can take this rod in your sea or boat fishing adventures. It is easy on your hands because it is equipped with EVA fore grip that is both anti-skid and sweat-absorbent. Even though it is packed with a lot of useful features, the PLUSSINO Telescopic Fishing Rod remains lightweight. The PLUSINNO Telescopic Fishing Rod is a great choice when buying a collapsible telescopic rod because it is made of high quality materials that ensure durability. It is packed with features that help in your overall fishing performance. With parts that are waterproof and anti-seawater corrosion, this rod is great for fishing sessions may it be in seawater or freshwater. Overall, it is compact and lightweight but can still withstand big catch. It is truly a bang for your buck. The Sougayilang Portable Spinning Telescopic Fishing Rod comes second on our list of best collapsible telescopic fishing rods. Also on Amazon’s bestseller list, this rod is preferred by a lot of anglers because it is durable, dependable and efficient. This product received an overall rating of 4 stars in Amazon and has over 300 customer reviews, some of which are praises for its overall performance. The Sougayilang Portable Spinning Telescopic Fishing Rod is made of high-density 24 ton carbon fiber and e-glass composite which ensures its quality. It has a reel seat made of corrosion-resistant CNC machined aluminum and 3-point welded guides made of stainless steel with ceramic inserts. It is also suitable for spinning reels. This rod comes in 6 lengths and sizes with different eyelet counts. The shortest rod in this series has a full length of 70.1 inches, a compact length of 18.5 inches, and 4 eyelets. The longest rod has a full length of 140.9 inches, a compact length of 27.6 inches, and 7 eyelets. Below is the complete list of sizes and lengths. Its rod power is medium-light which makes it suitable for both saltwater and freshwater fishing. It is lightweight and compact which gives more space for your other fishing gear. What’s good about this product is that it comes with a plastic cap to protect the guider rings and a bag to protect the entire rod. It also comes with a warranty of 1 year. 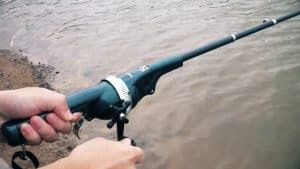 To sum it up, the Sougayilang Portable Spinning Telescopic Fishing Rod is a good companion for both your planned and impromptu fishing trips. It is a perfect blend of convenience and efficiency. This rod has been tested by a number of anglers and has yielded positive results. With the Sougayilang Portable Spinning Telescopic Fishing Rod, you will definitely get your money’s worth. Another item on our top picks list is the Eagle Claw Pack-IT Telescopic Spinning Rod. Eagle Claw is known for its great line of hooks and the Eagle Claw Pack-IT Telescopic Spinning Rod, with an average Amazon rating of 4 stars and about 150 reviews, surely does not disappoint. This rod is a must-have for those who are always on the go but are also on a tight budget. The Eagle Claw Pack-IT Telescopic Spinning Rod has a durable glass construction. Because of its material, this rod can withstand harsh conditions while traveling, thus, perfect for backpackers and hikers. This rod stands out because of its bright yellow color. Aesthetics aside, this is also good in terms of visibility. Features of this rod include an EVA foam handle to keep the angler’s grip secure and steady, ceramic guides, and a graphite reel seat. This type of reel seat is good because it helps in accurate casting. The rod is 17 inches long when collapsed, and 5 feet and 6 inches long when fully opened. It is quite shorter than the usual telescopic rod but it is, nonetheless, still a good pick. Divided into 5 sections, this rod works best when these sections are locked perfectly in place. It has 3 guides and one tiptop. When it comes to rod power, this rod is a medium. It is perfect for freshwater fishing especially when paired with a good spinning wheel. The Eagle Claw Pack-IT Telescopic Spinning Rod is a cheaper alternative to other collapsible telescopic fishing rods. Its only disadvantage is that it is shorter and heavier than the usual fishing rod. However, it does not disappoint in terms of quality and fishing performance. Because of its size, this rod is ideal for people on a backpacking or hiking trip who wish to do freshwater fishing. Included on our list of recommended rods is the Shakespeare Travel Mate Telescope Pack Rods with Tube. This rod lives up to the legacy of the Shakespeare brand which is known for quality freshwater equipment. Garnering an average rating of 3.9 stars and with over a hundred customer reviews, this rod is one of the best models of this brand. The Shakespeare Travel Mate Telescope Pack Rods with Tube is a reliable piece of fishing equipment composed of durable and sensitive graphite composite rod blanks. It has a size 35 graphite spinning reel which has a single ball bearing and line. Like the other products on the list, this rod sports a comfortable foam handle for the angler’s convenience. It has double foot stainless steel guides for better fish catch. This rod series is highly recommended when storage space is your main concern. It is very compact with a length of 15 inches when closed. Those who buy this product get a free reusable rod tube with 6 built-in compartments for tackle. There is also a removable shoulder strap which makes it convenient to bring around. If you are a fan of the Shakespeare brand, this rod is for you. This rod is best for what the brand is known for–freshwater fishing. Since it is compact at 15 inches, those who wish to get this rod do not need to worry about the space it will be occupying. It also remains light because of the materials used and it is easy to carry around. If you like ease and convenience in terms of carrying around your rod, this is the best for you. The last item on our list is the Goture Portable Telescopic Rod. This product is good for both freshwater and saltwater fishing because of its sturdy and reliable material. Its dependability is attested by the 135 customers who gave their review on the product and its overall rating in Amazon of 3.7 stars. The Goture Portable Telescopic Rod is made of a mixture of carbon fiber and alloy. The rod is treated with Germany NM piano baking varnish through a vacuum coating process. It has high elasticity and is very lightweight because of its 98% carbon fiber content. Because it is very light, it has better heat dissipation which, in turn, creates less friction. Friction is one of the factors that wear out rods. This rod has an adjustable full metal screw reel seat. Its connected ceramic eyelets are very sturdy because of the advanced epoxy resin adhesive used in putting these together. It also has an anti-skid handle for good gripping. It has ultra heavy rod power which makes it suitable for fishing in both saltwater and freshwater. Although it is a bit pricey, the Goture Portable Telescopic Fishing Rod is worth every penny. Its high quality materials and design translate to good quality fish catch. It is lightweight so you can always have it ready in your backpack without having to worry about its weight. This rod is for fishing enthusiasts who are willing to spend more on quality fishing equipment. There is a wide variety of collapsible telescopic fishing rods readily available in the market. 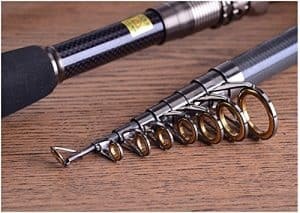 To get the perfect one for you, you should consider all of the rod specifications listed above. This is because rods are designed for certain purposes and are built to withstand certain conditions. Generally, these rods are affordable so you don’t need to fret if you only have a few bucks to spare. Cheaper alternatives perform quite well as expensive ones. The key is finding the right equipment for your needs and wants. Collapsible telescopic fishing rods are a good investment especially if you are always out and about. Responsible use and proper care are the secret to having more fishing memories with your rod.